See the best Sydney has to offer with our Essential Sydney Tour Package. The package includes a luxurious trip to the Blue Mountains, a delightful sightseeing cruise across the Sydney Harbour and a visit to the famous Sydney Tower Eye. You’ll meet Australia’s charismatic animals at the Featherdale Wildlife Park, take in the unforgettable views of the Blue Mountains and all the rides at Scenic World, enjoy Sydney’s major attractions from the water on a Sydney Harbour Cruise and observe the city from the heights of the Sydney Tower Eye. Our Essential Sydney Tour Package is the best way to enjoy the sights of Australia’s best known city. Explore the best highlights of Sydney City on our Sydney Half Day Tour with Bondi Beach. This half day Sydney City Tour will take you to explore some of Sydney's famous landmarks such as the Sydney Harbour Bridge, Sydney Opera House and the exciting Darling Harbour. Visit the popular Mrs Macquarie’s Chair, also known as Lady Macquarie's Chair, and spend the day soaking up the breathtaking views of across of the Sydney Harbour and the Opera House. Of course, a Sydney Tour is not complete without visiting the world famous Bondi Beach! Marvel at the pristine white sandy beach, rugged surf waters and explore many local cafes and restaurants in the area. If you find yourself with less time to explore Sydney, our Sydney Half Day Tour with Bondi Beach will take you to enjoy the best sights of what Sydney has to offer! Join our Port Stephens Day Tour from Sydney and enjoy a thrilling day at one of Sydney's most picturesque locations. Throughout the day enjoy a spectacular dolphin watching cruise, and take the time to give sandboarding a go at the Anna Bay sand dunes! Throughout the months of June-October, spot majestic Humpback and Minke Whales which reside in the local waters around Port Stephens during there migration period! Don't miss out on this exciting opportunity which awaits you! Check out our Sydney City Tour and Surrounds for a great low price of $95. Spend the morning experiencing the excitement of Sydney and its iconic city sights including the Sydney Opera House, Sydney Tower, The Sydney Harbour Bridge and much, much more. After lunch head out of town, crossing the Sydney Harbour Bridge and visit Milson's Point and Seaforth Lookouts to take in views of the city, the beaches and the rugged headlands. Tour through the northern beaches and stop in at the seaside town of Manly. This Sydney City Tour with Surrounding highlights offers more than just a city tour. Spend the full day soaking up everything that this beautiful area has to offer. We offer the best value Sydney Tours! Discover what makes Sydney so special with one of our Sydney Tours. This half-day Sydney City Tour allows you to explore all the major attractions that Sydney has to offer including the world famous Sydney Opera House and Sydney Harbour Bridge. Visit Kings Cross, Bondi Beach, Paddington and much, much more. Finish off this tour with a spectacular buffet lunch on Majestic Cruises on the beautiful Sydney Harbour. The Sydney Sightseeing Tour with Sydney Harbour Tour is excellent value for money and suitable travellers of all ages. We offer the best value Sydney Tours!! The stunning Blue Mountains provide a magical experience a little over an hour away from Sydney. Famous for its amazing rock formation of the Three Sisters, it is truely a spiritual place. Offering a variety of Blue Mountains Tours, ranging from one - three day tours, we have something for everyone. Enjoy peaceful walking trails that wind through pristine Australian rainforrest, see native Australian animals in their natural habitat and view magnificent waterfalls. For the more adventurous travellers we travel through the mountains and into the caves with tours of Australia's most spectacular underground limestone caves - Jenolan Caves. With tours starting at $79, the Blue Mountains is a wonderous place to visit at great value for money. With more than 120 wineries, the Hunter Valley produces some terrific wines. It is Australia's oldest wine region and located only a couple of hours from Sydney. Set amongst rolling green hills, the Hunter Valley is a perfect destination for the day for any traveller. Our Hunter Valley Tours offer the opportunity to sample some of the regions finest wines, at a selection of four different wineries. Feast on some of Hunter Valley's internationally acclaimed cuisine, sampling delicious cheeses, woodfire pizzas and chocolates. Choose from our one day, two day or three day packages to suit your taste buds. 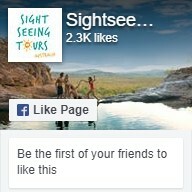 Book one of our Hunter Valley Tours today!